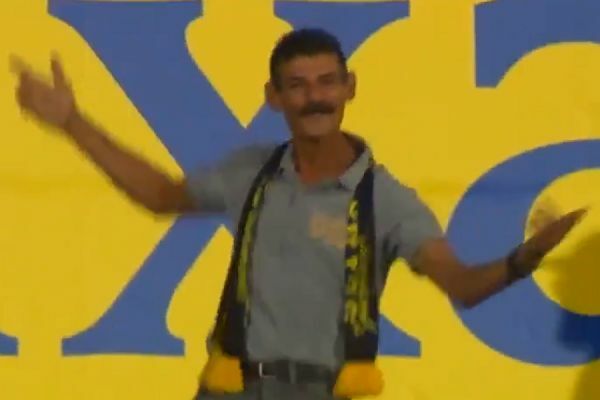 See a Las Palmas fan dance as he’s captured by the cameras at the Estadio Gran Canaria, performing a lengthy routine during his side’s 1-5 defeat to Atlético Madrid. Now in their second successive La Liga season since being promoted in 2015, the side from the sun-kissed Canary Islands struggled to cope with the tourists in their last La Liga clash before the international break. One supporter did not appear to let the scoreline affect his mood however, dancing throughout the match, pausing only for a drink of water.